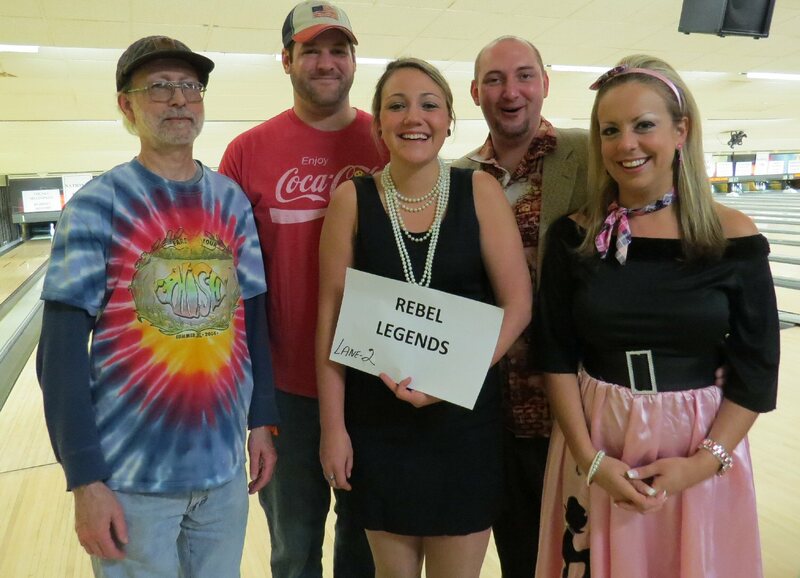 OCO employees and friends had a “legendary” time at last year’s Retro Bowl. 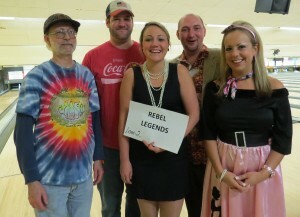 Will the Rebel Legends reappear as Ranch Rustlers for OCO’s Rodeo Bowl? Guess you’ll have to mosey on over to find out. From left are: Doug Robinson (Nutrition Services), Mike Pidkaminy, Shelby Cusson (Crisis & Development Services), Allen Wert (Nutrition Services Distribution supervisor), and Danielle Wert. FULTON, NY – Every day families and individuals of all ages find themselves in crisis situations with nowhere to turn. It might be a neighbor that lost their job and cannot find work; a family down the road that doesn’t have food for dinner; a young adult that doesn’t know where he or she will sleep tonight; or perhaps someone who can’t get a job or further their education due to lack of transportation. When all hope seems lost, Oswego County Opportunities is there to help. OCO provides a wide range of services that can address any number of crisis situations. From providing emergency food and shelter to assistance with family issues, OCO can help diffuse crisis situations and help families and individuals get their life back on track. To ensure that these services remain available OCO is hosting its largest and most exciting fundraiser of the year, the Rodeo Bowl. To be held April 18 at Lakeview Lanes in Fulton OCO’s Rodeo Bowl bowling tournament, featuring a western theme, promises to be a heap of fun for the whole family. Proceeds from OCO’s Rodeo Bowl will benefit OCO’s crisis services, which provide vital assistance to Oswego County residents finding themselves in various crisis situations. Additionally a portion of the Rodeo Bowl proceeds will be used to build financial resources for the future as the need for services continues to increase throughout Oswego County. The OCO Rodeo Bowl offers five-person teams two flights to choose from: noon to 2:30 p.m. (almost full!) or 3 – 5 p.m. Slots will be filled on a first come, first served basis. Additionally, chicken BBQ dinners will be available from 1:30 p.m. until sold out ($8 for half chicken, roll, and two sides). Follow news and photos about the 2015 OCO Rodeo Bowl, enter #OCO RodeoBowl in your web browser or search in social media site. One of Oswego County’s largest employers, OCO employs more than 550 people and boasts a volunteer force of 1,200. OCO strives to improve the quality of life in Oswego County by helping people, supporting communities and changing lives.